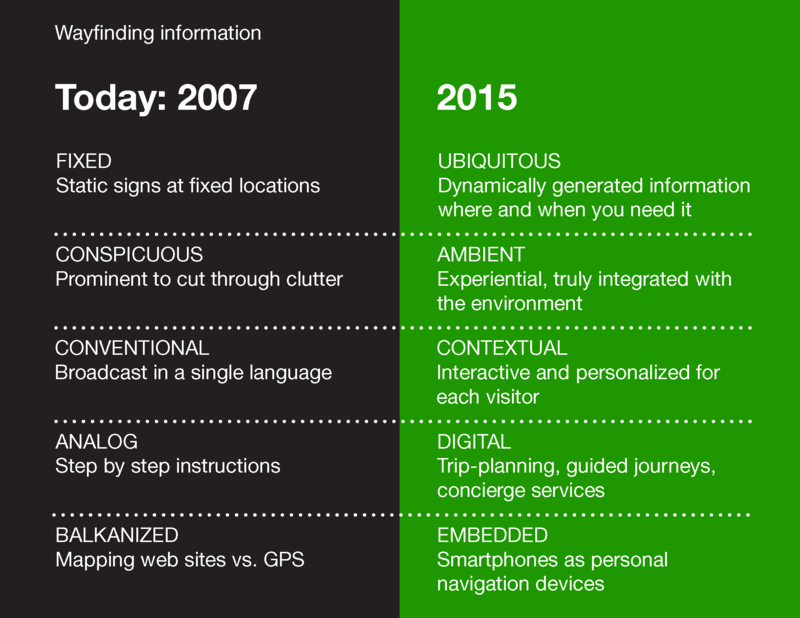 For a new business pitch in 2007, I was asked to predict some future wayfinding trends for the year 2015 and I just rediscovered the presentation in my archives. So, how’d I do? Unfortunately, the visual and cognitive clutter of physical signs has not subsided, but their dominant posture has diminished to a secondary role, well behind our twitchy allegience to the smartphone as a navigational guide. We can point to some successful examples of “ambient wayfinding” — from illuminated carpet to epic digital landscapes, but they are still rare. Intersection’s rollout of LinkNYC promises to be the first large-scale digital wayfinding infrastructure, built to serve us on the sidewalk, but its most promoted feature is gigabit wifi access for our pocket devices, not contextual maps and directions on the screen. The balkanization of mapping websites (remember MapQuest?) has consolidated down to the same two giant contenders that battle to control every aspect of our digital lives: Google and Apple. Their duel is high-stakes and contentious, and the result for us is nearly identical map offerings, one-upped and matched feature for feature every quarter. I still believe the most successful wayfinding should be ubiquitous, ambient and contextual: just the right guidance we need, where and when we need it. 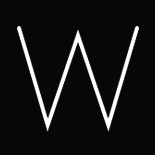 This entry was posted on January 29, 2016 by lwolke in Blog.